Since advanced inverters are less expensive than conventional solutions for regulating voltage, utilities and their customers will be well served by rapid adoption of this technology. Advanced inverters, paired with distributed generation and energy storage, can make the power grid more reliable and efficient. This technology can provision reactive power 24 hours a day, regardless of whether the sun is shining or the wind is blowing, and do so without reducing real power output. Not surprisingly, forward-thinking utilities across the country are embracing advanced features inherent in almost all inverters that are deployed throughout the world today. Georgia Power, for example, requires small solar generators to use advanced inverters to provision reactive power in exchange for compensation. Similarly, a group of Western utilities is working to make advanced inverters mandatory for all new solar facilities within their service territories. 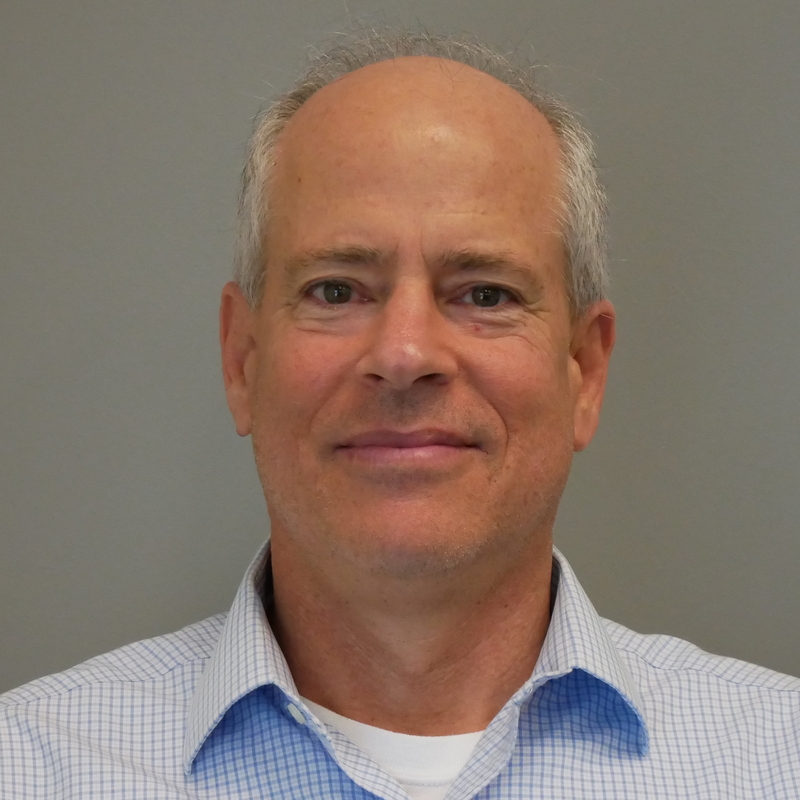 As long as reactive power provisioning is properly compensated, these utilities are leading a critical transformation where reactive power will be dynamically provisioned where it is needed most: close to loads. A report by the Oak Ridge National Lab found that distributed voltage control significantly outperforms centralized voltage control. Reactive power suffers 8 to 20 times greater line losses than real power, and those losses increase as a line is more heavily loaded. Distributed reactive power minimizes these significant reactive power line losses. Moreover, excessive line congestion can be avoided if distributed generation, energy storage, and advanced inverters are installed throughout the grid. As a result, distributed voltage regulation provides substantial system efficiency while preventing blackouts. Advanced inverters can also be programmed to ride-through minor voltage fluctuations, which eliminates unnecessary grid disconnects. Unfortunately, outdated U.S. policies currently inhibit the use of the reactive power and ride-through features built into advanced inverters. Given the importance of technical standards in guiding electrical grid operations, the Clean Coalition is supporting a CPUC working group currently focused on expediting revisions to IEEE and UL technical standards to enable advanced inverters full functionality. 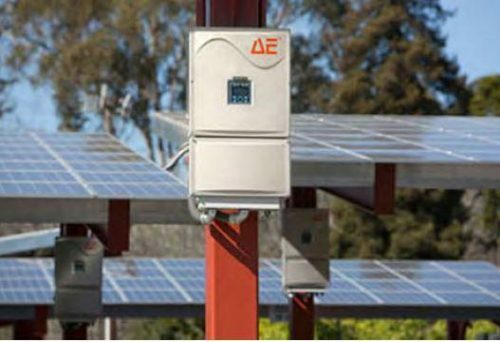 Since advanced inverters are less expensive than conventional solutions for regulating voltage, utilities and their customers will be well served by rapid adoption of this technology. Given that most inverters on the market have advanced capabilities built-in, there are no significant costs to installing the advanced inverter, which is simply a standard inverter with advanced features enabled. 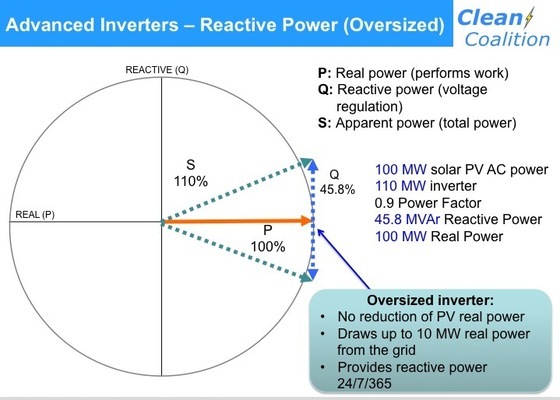 However, solar and wind generators with standard-sized inverters must divert a portion of real power production to provision reactive power when sun or wind resources are at their peak. Without compensation for the provisioning of reactive power, generators would lose revenue for curtailing real power output to provide reactive power. If reactive power will be regularly needed during a generator’s peak production hours, installing an “oversized” inverter makes economic sense. For example, a 100 kW solar facility with a 10% oversized inverter (110 kW inverter) set at a 0.9 power factor can draw 10 kW of real power from the grid to convert to 46 kVAr of reactive power even when the solar facility is producing a full 100 kW of real power. 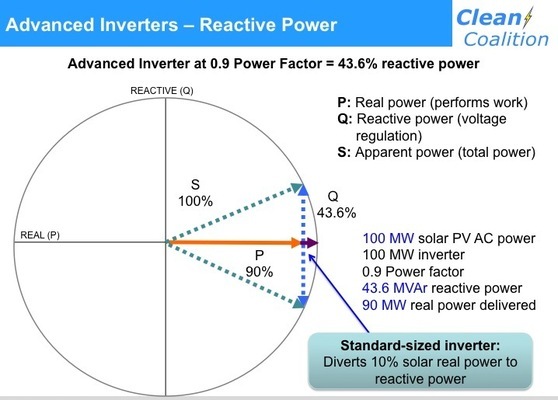 In comparison, a 100 kW solar facility with a standard-sized inverter (100 kW inverter) set a 0.9 power factor may need to divert up to 10 kW of real power output to deliver 44 kVAr of reactive power. Hence, a 10% oversized advanced inverter, with .9 power factor capabilities, can provision reactive power totaling almost 50% of the operating capacity of the inverter while never curtailing real power production. While the costs of oversizing inverters are less than installing and maintaining capacitor banks, they can still be significant for smaller generators. Therefore, generators should either be compensated for the costs of oversizing inverters or for the value of real power converted to reactive power. In the alternative, utilities may find it more cost-effective to own and control the advanced inverters of independently owned generators, in the same manner utilities own and control capacitor banks for voltage regulation.